Skip Yeager (left) of SC-C.A.R.E.S. 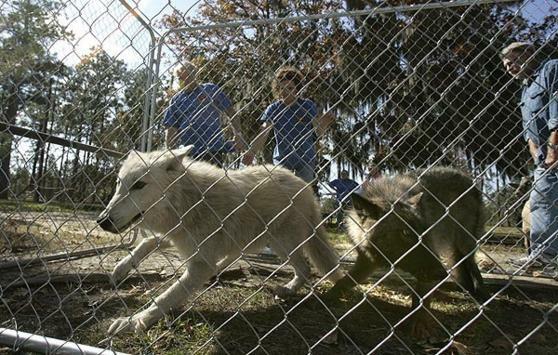 moves with the help of volunteers, 3 of the rescue's 5 timber wolves to a new 1/2-acre compound in Georgetown County. 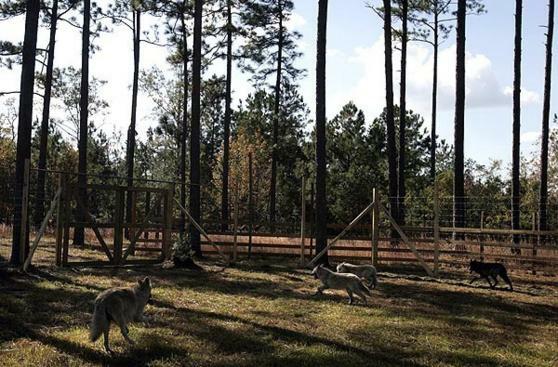 Through donations the rescue replaced the temporary fencing for the wolves, which were, rescued 5- months ago from a closed zoo in Charlotte, N.C. The new compound is a 541 ft area enclosed with wildlife fencing and spread out over a 1/2-acre area. 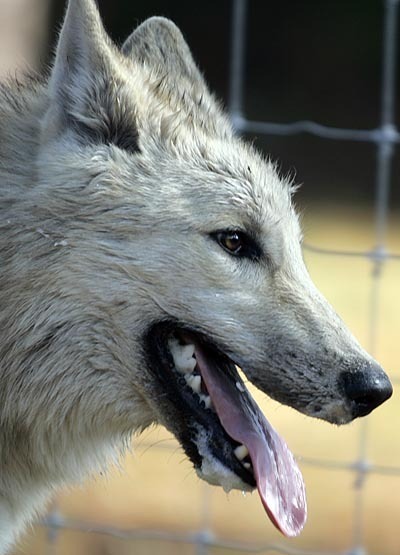 "Calypso" a 6-month-old timber wolf, watches as volunteers and operators of SC-C.A.R.E.S. 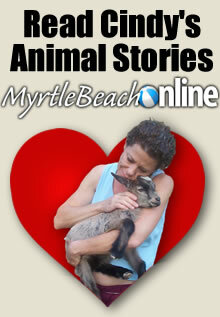 prepare to move the wolf and 4 siblings to a new 1/2 acre compound in Georgetown County. 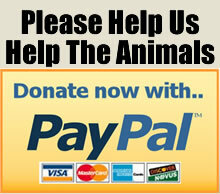 The wolves were rescued 5-months ago from a now closed zoo in Charlotte, N.C. The new compound is a 541 ft area enclosed with wildlife fencing and spread out over a 1/2-acre area. 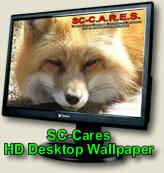 Skip Yeager of SC-C.A.R.E.S. 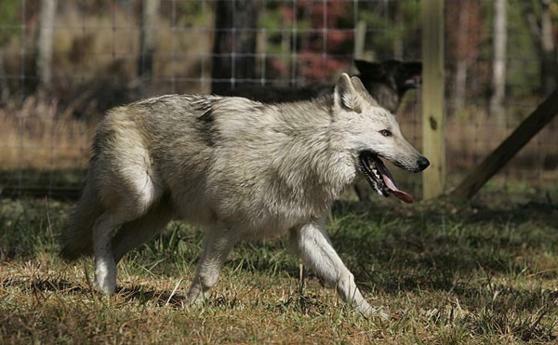 watches as a wolf named "Captain" runs to a transport fence at the exotic animal rescue and rehabilitation facility in Georgetown County. 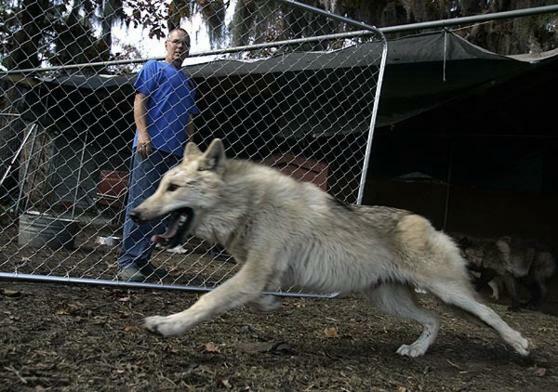 Skip Yeager of SC-C.A.R.E.S., prepares to transport the wolves to a new 1/2-acre compound in Georgetown County. "Dutches" a wolf at SC-C.A.R.E.S. takes a rest after running in the facilities new wolf compound in Georgetown County. 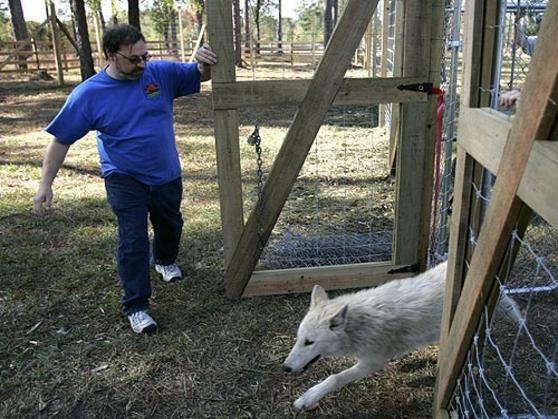 "Dutches" (left) and "Calypso" were scared during the transport to the new wolf compound at SC-C.A.R.E.S. in Georgetown County. SC-C.A.R.E.S. volunteer Mike Shoemaker, watches as "Dutches" a 6-month-old timber wolf is released into the facilities new 1/2-acre compound in Georgetown County. 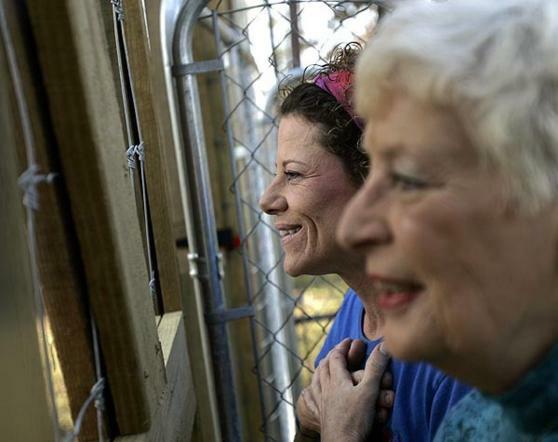 SC-C.A.R.E.S operator Cindy Hedrick (left) and volunteer Barbara Bush of Georgetown, watch the wolves in the new compound. 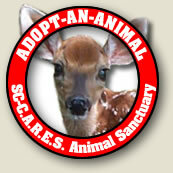 Hedrick and partner Skip Yeager operate the non-profit SC-C.A.R.E.S. off Abbeville Rd. in Georgetown County. 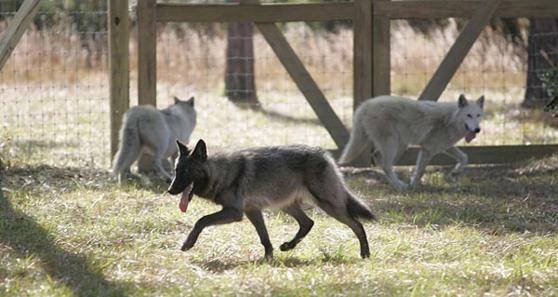 Four of the five wolves run in the new 1/2-acre compound in Georgetown County. 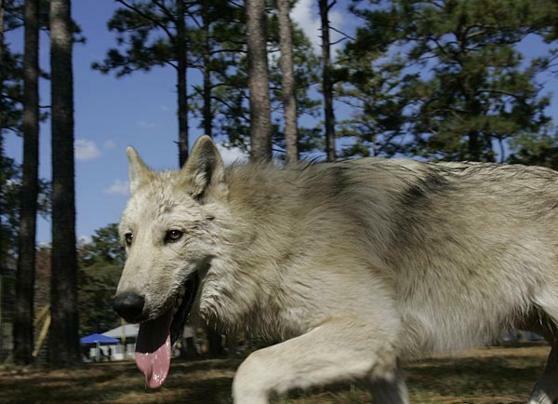 The timber wolves run in their new 1/2-acre compound in Georgetown County. 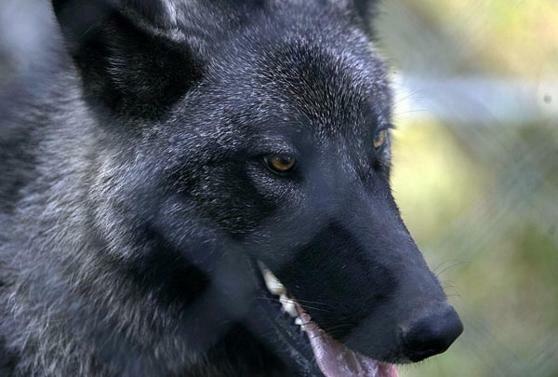 A close-up view of "Captain" from the new wolf compound at SC-C.A.R.E.S. in Georgetown County. SC-C.A.R.E.S operator Cindy Hedrick watches as 2 of the 5 wolves run by her. "This is the first time I've seen their tongues hanging out from running," she said after the release to the new compound. "Captain" a 6-month-old timber wolf, runs in the new compound at SC-C.A.R.E.S. in Georgetown County.